We’d love your help. Let us know what’s wrong with this preview of Ultimate Cardmaking by Sarah Beaman. To ask other readers questions about Ultimate Cardmaking, please sign up. This book has some neat techniques. Some I tried and others I know I'm not going to attempt to try. There are only so many supplies I'm going to buy for a project especially if it's a one time card. Either way I love this book! I think this book has a very good basic methods for people who are we to card making. Nonetheless, some of their designs looks a little outdated but there are some techniques which were quite interesting and will be hoping to try them in a more modernized way by changing the colours, design etc. At first I didn't really like this book, but after took the time to sit down and flip through the techniques and everything you can do, it was really inspiring!! There are so many different techniques to choose from. It's good to be inspired. Very nice book , with a lot of good ideas for card making! I've looked at four this far and this has to be the ultimate card making book, I would buy! 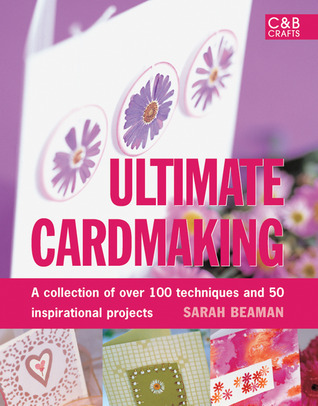 If you want to learn the basics of cardmaking this book could be a help. The ideas seem a bit dated to me though. Or perhaps the designs just aren't my taste.